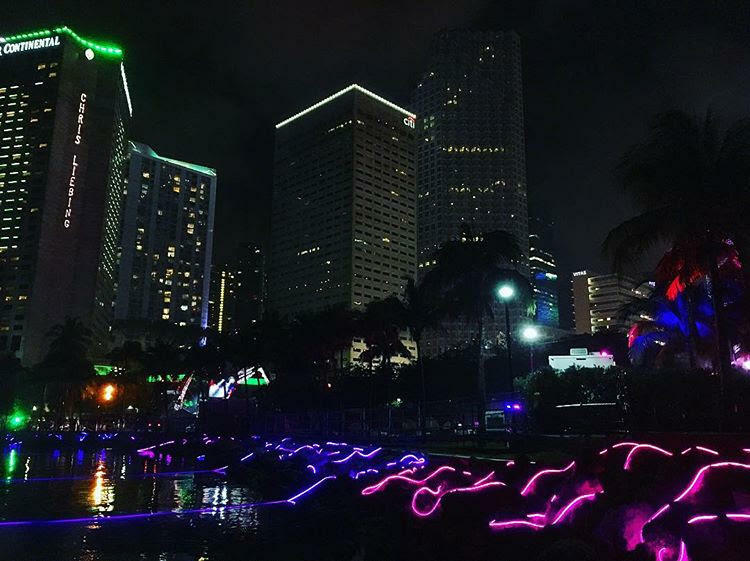 Until recently, Ultra Music Festival was held at Bayfront Park in downtown Miami. This year, the concert moved to Virginia Key Beach. The Ultra Music Festival returns Friday to South Florida. This year, the three-day electronic dance music concert, which was held for years in Bayfront Park, has been set up in a new location – Virginia Key Beach, a nearly 900-acre barrier island in Biscayne Bay. Some environmentalists are concerned the loud music will harm wildlife in the coastal area. On the South Florida Roundup, host Christine DiMattei spoke about the potential calamity of dropping beats in Ultra’s new site with The Miami Herald reporters Joey Flechas and Jenny Staletovich. Listen to the March 29, 2019 episode of the South Florida Roundup. The segment on Ultra Music Festival runs 18:00 to 37:00. JOEY FLECHAS: This is an unprecedented event, not only for Virginia Key but for Ultra. They've become a well-oiled machine in Bayfront Park. They've known where to set up the stages, where sound travels, how people move in and out. Those logistical questions. All of that is new this year – including getting people there. And in terms of the environment and getting people there, those are the two main concerns. WLRN: How many people per day are expected? Can all those people even fit on Virginia Key Beach at one time? FLECHAS: We're about to find out. For all for those unacquainted with Virginia Key, what is there that is so important to environmentalists? JENNY STALETOVICH: So Virginia Key, there's always been sort of this tug of war over how it should be used since it's in such an urban environment. But after the speedboat racers were stopped at the Marine Stadium in 1990, the state established a critical wildlife area for wading birds. There's also a manatee protection zone that's right around the corner from the Marine Stadium. And then on the beach, on the other side of the island, there's nesting habitat for crocs and sea turtles. So there's a lot of wildlife that uses that island despite its location. Well before the decision to move ultra to Virginia Beach, federal scientists had been examining the effect of noise pollution on underwater life. What have they found so far? STALETOVICH: That's right. The National Oceanic and Atmospheric Administration had started a 10-year study on this growing concern about noise pollution and it had to do with powerboats, pilings, and underwater drilling. And it's still a growing body of research. What they've found is that it, in fact, impacts wildlife in ways that interrupt reproduction and their ability to find food. Things they need to do to survive.